Q: Thank you for this interview! I’d like to know more about you as a person first. What do you do when you’re not writing? A: I’m a lawyer in the entertainment business. A: I started writing fiction several years ago. Q: As a published author, what would you say was the most pivotal point of your writing life? 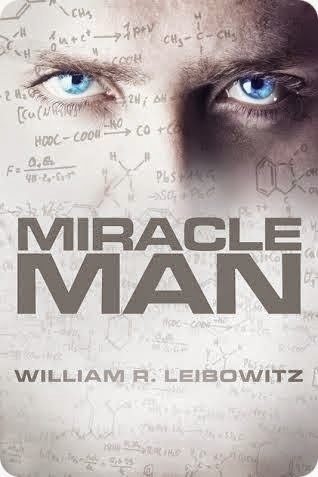 A: When Miracle Man won the Best Thriller award that not only opened up a lot of doors for me, but the award, coupled with an increasing number of terrific book reviews, validated what I was doing and gave me confidence as an author. Q: If you could go anywhere in the world to start writing your next book, where would that be and why? A: I would go to Tibet. I was recently there and the place has such a powerful spiritual quality that I think this would reflect in the writing. Q: If you had 4 hours of extra time today, what would you do? A: I’d get on a sailboat in Gloucester, MA and sail to Marblehead. Q: Where would you like to set a story that you haven’t done yet? Q: Back to your present book, Miracle Man, how did you publish it? 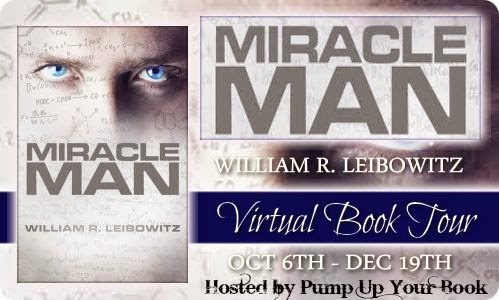 A: After speaking with several lawyers who represent authors and then doing research, I decided to self-publish Miracle Man because the financial and marketing opportunities for new writers of fiction that were once available from major publishers no longer are. I decided that I’d have more control by self-publishing. Q: In writing your book, did you travel anywhere for research? A: While I didn’t have to travel for my research, I did need to do extensive research because of the nature of the plot in Miracle Man. I researched two areas: (1) the nature of human intelligence (particularly genius), and (2) diseases, treatments, attempted cures—and the medical/scientific methodology relevant to formulating cures. Regarding #1 – I researched the lives of actual geniuses so that I could understand how genius manifests itself at various ages –and the behaviors often attendant to genius. Because Robert James Austin (the protagonist in Miracle Man) has an intelligence that is unique in human history (i.e., 10X that of Einstein), I extrapolated from my research and “pumped up” various things about Austin so as to reflect his extraordinary abilities. So while I highly magnified elements of Austin’s behavior and thought processes –they are grounded in documented realities. Regarding the medical/scientific aspects of the book, I didn’t want to ask the reader to take giant leaps of faith when reading Miracle Man, so I knew that in order for the story to be credible, it had to have a plausible scientific foundation for the ways in which Austin invented cures and the way that the cures worked. At the same time, however, I was mindful that I had to minimize the science so that it didn’t bore the reader. Q: Why was writing Miracle Man so important to you? A: Miracle Man chronicles the saga of Robert James Austin, the greatest genius in human history, from the time of his birth and tragic childhood through his extraordinary accomplishments in curing diseases. The book is a psychological thriller with a fast paced twisting plot that’s full of surprises and drama, as Austin battles abandonment and betrayal and the myriad forces that seek to destroy him. In writing Miracle Man, I wanted to create a modern day believable ‘super hero’ who is an ‘anti-celebrity’. I thought that such a person could be inspirational when contrasted with the meritless celebrities that dominate media today (e.g., the reality TV stars who are famous for being famous, but have no real talent). I also wanted Miracle Man to be the vehicle within which I could convey, in an entertainment context, certain spiritual and humanistic messages that are important to me. Q: Where do you get your best ideas and why do you think that is? A: I get my best ideas when i lie down on the grass in my garden and look up at the sky. This allows me to “zone out” and just let my imagination roam. A: Yes. In writing Miracle Man, I wanted to get readers thinking about a real-life problem that affects us all. One of the powerful forces fighting my protagonist, Robert James Austin, is “Big Pharma” which views Austin as their enemy since he cures diseases and thereby makes many of their “cash-cow” drugs obsolete. In short, Austin is bad for their business. Like Austin, I find it incomprehensible that virtually no major disease has been cured in over 50 years. How can that be the case when so much money has been spent over the decades on research? Simply put, there’s a lot more money in treating symptoms than there is in curing diseases. Austin realized that Big Pharma has no interest in curing diseases. It just wants to keep on selling expensive symptom treatments –and as we know, many people are on ‘medication maintenance programs’ for years, sometimes for life. Austin wanted to change that. Worth thinking about I believe. Doctor John McIntosh and Rev. Elizabeth McIntosh, authors of an important new book, MASTERING NEGATIVE IMPULSIVE THOUGHTS, use “nits” as both an acronym for their book’s title and as an analogy for the clearly unhealthy effects of negative thinking. Unlike other, similar books that claim to have a magic route to happiness and health, MASTERING NEGATIVE IMPULSIVE THOUGHTS is based on solid clinical research, say the authors, who together have extensive experience in general medicine, medical research, and holistic health/wellness practices. Be open with your affection and compliment each other in public – “Here comes my beautiful wife/husband/partner” – touch them gently and affectionately, and hold their hands. This affectionate approach to each other is contagious, and soon everyone around starts to do the same thing! This mutual affection also deters predators who might want to try their luck with your partner, but as your relationship is so secure, this is a non-issue anyway. The relationship will never fall apart, because you love each too much and it is balanced and mutually rewarding. Showing respect to each other is another key, as not showing respect erodes the foundations of the relationship and each other. An example is to ask your partner for confirmation of plans if you are invited out as well as discussing important decisions with them. While you may know what the answer will be, it is courteous and respectful to confirm it with them. This will also confirm that your expectations were correct. Most people would like their relationship to stay in the honeymoon period, when everything was fresh and exciting. Well you can, but it is up to you! If that is what you want, you need to treat your relationship as if it is still in that honeymoon period – continue to take care, pay attention to what your partner says and wants, buy her (or him) flowers, do nice touches, make things special, show that you care and the excitement can persist for years and years! Know your partner and pay attention – what they like to do, their favourite foods, TV, music, colour, places to visit, who is their favourite mentor, what gives them the most pleasure (sexual and non-sexual). Make an effort to make the things that are important to your partner important to you, so even though you don’t really like football, try and get involved, and even if you don’t understand why she likes flowers, just buy them! You should know these things, because if you are going to make them happy, you need to know what works for them. People do feel loved when you pay attention to the finer details. Be able to comfort your partner and help each other emotionally and practically to solve any problems by working together – “What do we have to do to solve this?” or “How can I help you so we get through this?” Work as a team and use the terms like “we”, “us” and “together” to emphasise the team effort. Know each other’s strengths and weaknesses – praise them for one and help them with the other. Obviously, both of you are going to need to know about NITs, but when you look at your relationship and communication, are the things that you say to each other mostly positive and uplifting or mostly critical and negative? Once aware of the principle, you can recognise the NITs and start eliminating them and approaching things from the other side with so much better results! Sometimes you might need to imagine what your partner is dealing with to understand why they are tired, irritable or home so late. Go through the exercise of “walking in their shoes for a day” by asking them in detail what they have to do. You may well find out why one person may need some quiet time when they get home, rather than immediately giving the children to the worker on their arrival home. A good relationship is also one where you respect what the other person needs, even if that is actually taking some time for themselves (without you). A secure and complete relationship will have the security of knowing that they do want to be together and will rejoin with a renewed appreciation after the time has passed. Communication in relationships is critical too. Use honest and simple language, without any double meanings or innuendos, making sure that what you say is exactly what you mean. Everything you say should be taken at face value, so if something is upsetting you, say what it is, and don’t talk around the subject. If you are asked if you want to do something or not, be honest – for example “Well, I am very tired and would prefer not to go, but it is important for you so I am happy to come to support you”. Make sure there is no hidden indebtedness and be honest. If one partner only does things to create a “debt” from the other person, this undermines the positive energy of the relationship severely. The result is then both sides have to do things because they need to and not because they want to. Do what you do because you love your partner and allow your partner to not do what they don’t want to do because you love them too. As long as the balance is present, this works well. Constant sarcasm, guilt and innuendo with implications of criticism or ungratefulness leaves the other person constantly trying to work out what they are doing wrong. This undermines the relationship and if that approach continues, the person will often either pull back from their partner or withdraw from the relationship completely. Honesty sometimes requires you to be courageous, and both parties also need to be strong enough to hear the truth without being offended. Once the truth is out and the main issues are clear, you can then work together to solve the problems. But at least you are focused on the real problem, not the underlying excuses that circulate when the truth is too hard to discuss. Remember that we all change and grow over the years, so the nature of someone that you met aged twenty may not be what they are like at thirty or fifty! Don’t assume that you know them – ask them and listen attentively so you keep up to speed with any changing aspects of their desires, dreams and plans, as your plans ideally are going in the same direction. Having a great relationship in a NIT-free environment is also great for your children, as they learn from it all and will tend to mimic your actions and behaviours. My Mom taught me to believe in myself, to be happy with who I was and whatever I was doing, I was a free spirit and she supported me, my Dad, was the opposite, he was a typical old school European, logical, work oriented, save for a rainy day mentality, I used both of my parents influence to find balance in the man I have become. No, I’ve never really been interested in writing, more I think interested in sharing smiles and the only way I could do that was to use words that people enjoy reading. I still don’t feel like a writer, my friends and editor call me a writer, I am slowly getting used to the fit but it itches. Life inspires me to write, the energy of living, the beauty of nature and how it is shared with all of us, and of course the warm caring energy behind a smile that can change someone’s day for the better without even trying. Inspirational poetry, rhythmic paragraphs with a beat and of course a meaning. More like who, the people of the world, we just don’t smile enough, or enjoy enough, we need to believe in that person that looks back at us in the mirror every day. Positve energy took over, I sit now every Monday to Friday at 0600 and create a smile or an inspirational word hug for my friends, and their friends and the friends of those friends, I believe that if I start each day with a smile shared in the wind, it will be carried by the smiles of others around globe… it makes for some good energy. Having something to write about every morning, I haven’t missed very many days in the last 5 years, but somedays I sit, very quiet and very blank, until I am hit by something positive, an image, a feeling or just a breath I hadn’t taken yet. Yes, rhythmic short poems with a beat and a meaning, inspirational and fun to read. Hmmmm… my positive energy I think, I don’t know if that is a strength or not but it helps when I sit down and greet my mornings. My Smile and my desire to share it in the wind. My favorite quotes are those of inspiration, by everyone who shares them, the world needs more happiness. Robert (BawB) Chomany is the author of the BawB’s Raven Feathers series, pure and simple inspirational books. He was born in Calgary, Alberta, with a clear view of the mountains to the west. These mountains eventually drew Bob in, and he spent many years living in the company of nature, exploring his spiritual side. Bob pursues his many interests with passion. You are just as likely to find him twisting a wrench or riding his motorcycle, as you are to find him holding a pen, writing. Bob still lives in Calgary, where he finds happiness by simply living with a smile and sharing his words of wisdom with others. Learn more about Robert at his website, http://bawbsravenfeathers.com/. Connect with Robert on Facebook and Twitter . Stuff in their Ears? Sticks up their nose? Let’s keep things out of our kid’s ears and nose! Rhyming and beautiful, bright and colorful illustrations will gently remind children to avoid putting things where they don’t go! After 14 years of practice, Dr. Altman never ceases to be amazed at what children will think of to stick up their noses or stuff in their ears. From rocks to raisins, paper to peanuts, crayons to candy and buttons to beads, Dr. Altman has removed them all! Sometimes adults marvel at the wonderful curiosity of young children…until their inquisitive natures cause them to insert unimaginable objects into inappropriate places. It’s difficult to appreciate a child’s creativity when it might cause a medical emergency. 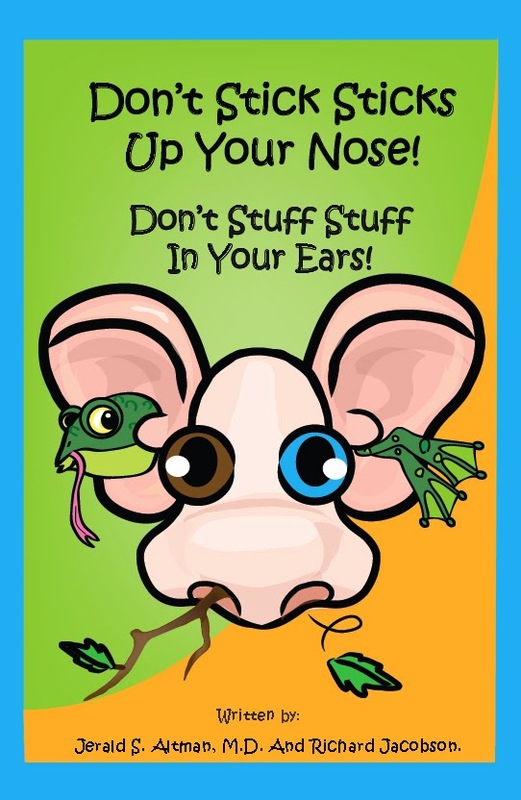 Don’t Stick Sticks Up Your Nose! Don’t Stuff Stuff In Your Ears! explains to children, in a fun, colorful, and memorable way, why it’s a good idea to avoid such behavior. The kids will soon be repeating the rhyming verses while being gently reminded not to stick things up their noses and not to stuff things in their ears. Nosebleeds are very common and general start in the front of the nose, on the septum which is the wall that divides the right side of the nose from the left side. They are most common in children between the ages of 2-10 years and then again in adulthood between ages 50 and 80 years. While they are scary to see, most are not dangerous—just messy. Since most nosebleeds occur in the front of the nose, they can be stopped by pinching the soft parts of the nose together for 5 minutes. If it doesn’t stop, hold for 10 more minutes. If the bleeding continues, the patient should be seen by a doctor. Recurrent nosebleeds should be evaluated by an Ear, Nose and Throat doctor. Most are caused by trauma (vigorous nose blowing, itching or picking the nose) but can be caused by other causes such as infections, foreign bodies, growths and some uncommon diseases. The doctor can examine the nose (commonly by inserting a lighted telescope to thoroughly evaluate the nose) and treat the bleeding site with cautery, if needed. Occasionally, the child may have to be undergo general anesthesia to adequately cauterize the bleeding area. 2) Apply Vaseline or Antibiotic ointment to the nostril and septum 3 times a day for 2 weeks. 3) Keep a humidifier in the bedroom near the patient. 4) Spray the nose with saline spray several times a day. Jerald Altman is an Otolaryngologist-Head and Neck Surgeon (ENT Doctor). 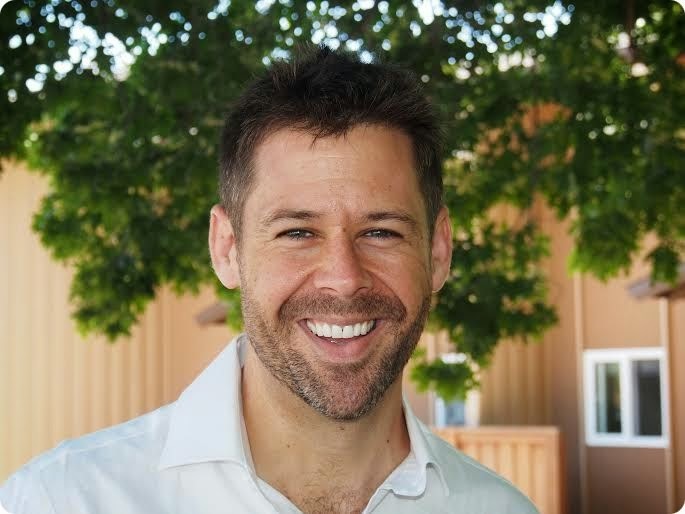 After publishing many peer-reviewed journal articles, he recognized the need for a children’s book dealing with a common problem in his practice. He was recognized as a Phoenix Top Doc in 2010, 2011, 2012 & 2013. He is a general Otolaryngologist and he loves taking care of children’s ear, nose and throat issues. Accordingly, the idea for this book came from his pediatric patients and their incessant need to put things where they shouldn’t go! Richard Jacobson studied architecture at Yale University and has spent most of his adult life designing interiors, landscapes, tablescapes, clothing… and just about anything else that can be fashioned in a creative way. He lives in Phoenix and enjoys training dogs, birds and topiaries in his spare time. He once collaborated with his co-author’s (then) seven-year old daughter on a painting for her newly-decorated bedroom. Asked by her mother how she had enjoyed the experience, she replied bluntly, “He’s a little controlling.” Years later, her accurate judgment tempered the rhyming verses he used to gently guide young children’s behavior. Connect with them on Facebook and Twitter . In RHAPSODY, the Forest has been completely healed and the battles of Books I and II are over, but a corrosive blackness that has been haunting Raf still seems to be growing in strength. They return to Miern to stop a traitor from assuming control of the city, but find themselves caught up in a deadly plot as they race against time to stop a dark and horrific power being unleashed on them all. 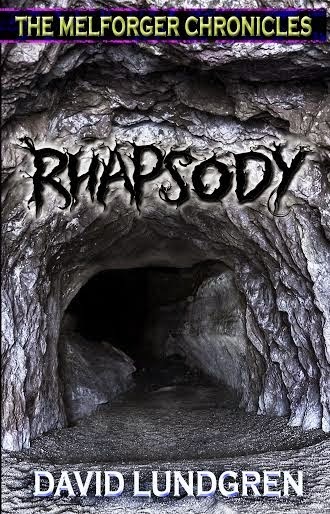 Rhapsody is available at Amazon. One of the things I try to do is to make a habit of staying active on a daily basis as writing is such a sedentary, cerebral activity. So I try to get outside and move around as much as possible (healthy-body, healthy-mind, etc). I’m a keen tennis player, dabble in a bit of golf (the most frustrating game in the world), am an avid NFL fan, and even occasionally get roped into playing cricket; this is what you get for being an international (I’m originally from Zimbabwe, you see). Along with writing - and devouring other people’s books, of course - I’ve been a Lead Instructor for a Bay Area innovation camp and worked as a curriculum-designer. I also deliver creative writing workshops at schools locally and internationally. It would be remiss of me if I didn’t also confess a sad addiction to Sudoku and the cryptic crosswords that the Brits love so much. My official ‘writing’ (that is, not including the ridiculously embellished journals I used to send to my family, chronicling my wacky travels after university) was Melforger, the first book in The Melforger Chronicles trilogy. There was no exact moment when it began as I had been building the ideas for it for many years. However, I started putting in the serious effort that writing a book demands about four years ago, culminating in Melforger coming out in 2012, Disharmony in 2013, and now Rhapsody. Getting to the 100th page of the first draft of Melforger and realizing that I could actually do it. It had seemed such an abstract up until that moment, and then all in one moment, it suddenly crystalized and I knew it was real, that I loved it, and that I wanted to commit to getting stuck in and finishing it. To be honest, in this hypothetical world we’re talking about, I’m sure teleportation would exist, so I would take the opportunity to jump around the planet visiting family and friends who are spread far and wide, catching up with them. If teleportation didn’t exist, I would love to seize the opportunity to actually do some casual reading which seems hard to find the time for these days. Where would I want to travel to find inspiration for the next story? Probably Indonesia or Brazil. I love creating settings, and I’ve been in person to all the extreme landscapes in The Melforger Chronicles – from forests to deserts to savannah plains. The jungle is one that has eluded me so far, and if I get to travel to one, I can’t imagine not being inspired to use it in a new yarn! Back to your present book, Rhapsody, how did you publish it? I avoided the traditional route and instead used CreateSpace to publish it, hiring an editor, proof-reader, designer and publicist to make it as awesome as possible. Not very far, but I planned a few camping trips into the redwoods of California to try to capture the feel and atmosphere for the forest in The Melforger Chronicles. I’m very lucky to have been brought up in Africa as it gave me the opportunity to capture the experience of savannahs and deserts which were key landscapes in the trilogy. Forest experience was a little lacking, however. Most of my research, though – and there was a copious amount of it – was from books and online sources, making sure that the technological, musical, cultural and natural elements all worked. 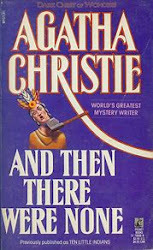 For any reader who’s kind enough to suspend their disbelief and sink into my world, I was very keen to make sure there weren’t any jarring inconsistencies that snapped them out of the spell. Why was writing Rhapsody so important to you? Rhapsody is the final book in The Melforger Chronicles trilogy, concluding the story and bringing the entire journey to a dizzy and brilliant halt (hopefully!) – so there’s why it was important! As for writing the trilogy as a whole, I suppose if you look at my love of reading sci-fi and fantasy as an only child, my upbringing in Africa with its jaw-dropping wilderness, and how I’ve been surrounded by music my entire life, it seemed an obvious for me to find a way to string them all together and create my own original story. Traveling and getting out there, seeing the world in all its rich and weird beauty, is one of the best ways to find inspiration. If I push myself to be creative, to proactively find a novel idea, it’s a struggle. I don’t think it tends to work like that for many people, and it’s more often the case that you are struck by something unusual and original when doing something else – often something mundane and completely unrelated to the book. Whatever it is – whether it’s playing sport or doing the dishes or traveling on the Muni in San Francisco or hiking the redwoods – I find myself frantically scribbling down ideas on bits of paper or writing texts to myself to keep track of those key breakthroughs. As to why it happens like that, perhaps it’s a question of making links or connections between unrelated ideas, or some change in perspective giving you a subtle new angle or approach by which to view it. Or, even more likely, I suspect our brains need space to ‘incubate’ and play with ideas without any conscious pressure. I’ve found myself at my most creative when I let go the drive to come up with new ideas and let them come to me by doing other things to distract me. Thanks for having me! I hope you enjoy reading the trilogy as much as I enjoyed writing it. And whatever you think – reviews are always welcome! It would be nice to just ask your angels to sprinkle some stardust on all the difficult people in your life—swish! But, unfortunately, all those people have free choice, so you can only hope to influence them in a positive way. The very best way to influence the difficult people in your life is to connect to love, yourself. Whenever you are not feeling light and happy, just stop whatever you are doing or thinking and connect to love and ask for an open heart. When you do this, it will be like magic stardust for you—your vibration will raise, you will feel better, and this transformation will influence everyone around you in a positive way. The first Shift Key is learning that there is always magic stardust for you. You can always connect to love at any time, in any circumstance. When I was learning this—I had it all backward. I wanted to get more love from others. But I did not have my own connection to love. I thought if I could change everyone else, I would be happy. As it turns out, I could not get anyone to change even one little bit. I had read many of the self-help books published in the last twenty-five years and become an authority on why I was sabotaging myself, and why my childhood or other experiences might be causing my pain. Everything I learned was helpful, but most of what I learned just made me want to change other people and circumstances beyond my control. I also thought that working on my own education and accomplishments would make me more lovable and happy. I consistently chose with my head, then second-guessed my choices. I was accepted into medical school, and then chose not to attend. Later I became an attorney, not because I really wanted to be an attorney, but to make up for my “mistake” in not going to medical school. I was mostly concerned with how others would view me. My accomplishments were not from my heart. I am glad for all I accomplished as nothing we learn is ever wasted. But I was mostly operating out of worry and fear, not love. I later found that I was making two major errors and even though the results were poor – I didn’t know what else to do. First – I was trying my best to be and do what I thought everyone wanted me to be and do. When that didn’t seem to be working out, I often made a second mistake. I waited and hoped that others would change to be who I wanted them to be. I was trying so hard to do it right and be good enough – I wasn’t really being myself. Then, instead of moving on when a relationship, job or situation did not meet my needs – I waited and waited – hoping that others would somehow change (despite strong evidence to the contrary!). I wanted to stop wishing and hoping that others would change, so that I could be happy. I asked my angels to show me an answer: How could I love and respect myself and have harmonious and happy relationships, at the same time? This book contains the answers I found. The secret was to connect to love and then shift in the only areas where I had some control – my own thoughts, feelings and actions. When my own heart was right, then everyone and everything around me sorted out with the law of attraction. When I connected to love and my inner world (my heart) was right – so was my outer world. Our angels have been trying to tell us this down through the ages. However, in the last few years, science is confirming the importance of connecting to love and its impact on our world. 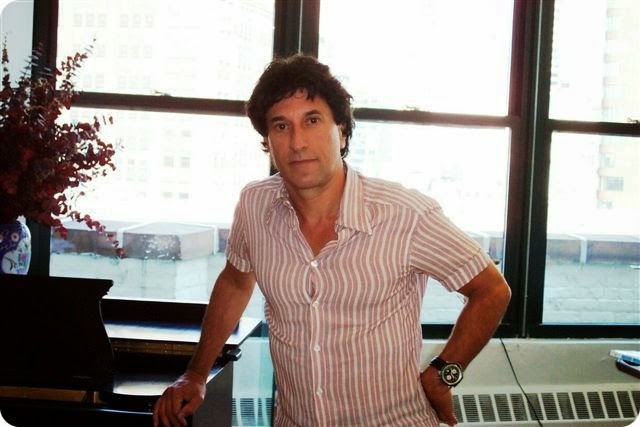 Joe Dispenza in his book, Breaking the Habit of Being Yourself, notes research indicating that we are each part of a vast, invisible field of energy, which contains all possible realities and actually responds to our thoughts and our feelings. We can use our minds and emotions to create our reality. The neuroscientist, Dr. Newberg, in his book, How God Changes Your Brain, explains how just thinking of the word God and contemplative practices enhance the neural functioning of the brain in ways that improve physical and emotional health, no matter the religion or belief – as long as it is based on peace, love and compassion. The Institute of HeartMath research shows that positive thoughts actually add energy to our system and negative thoughts dissipate our energy. Our heart energy extends out three feet and more, influencing whatever is around us, as well as connecting to those we love around the world. Opening our hearts and feeling love, appreciation and compassion have a powerful beneficial effect on how we relate to life. I learned from Dr. David Hawkins’s book, Power versus Force, that we all vibrate on an energy scale that ranges from low vibrations of despair, loneliness, and sadness up to the higher vibrations of hope, peace, happiness, and joy. Further, whatever level we are at determines what we attract—like attracts like. So no wonder I was not getting what I wanted! My attitude, emotions, and vibration were often fearful and worried or critical and negative. When I was critical and negative, that was the type of experience I was going to attract. I realized why the Law of Attraction wasn’t working for me. I began to think of my thoughts as a flock of ducks flying through the sky. I could say some nice affirmations about what I wanted – that gave me three or four ducks going in the right direction. However, I had habitual thoughts and feelings of doubt, fear and unworthiness. Those twenty ducks were circling or going the wrong way, so chaos reigned. The universe responded not to my affirmations, but to my primary energy and vibration of fear and doubt. Law of attraction sounded good, if I could just stay in peace and joy – and attract that! But I didn’t know how to shut off the anxious, negative perspective. I found that the easiest way was to simply ask for help and ask to be filled with the energy of unconditional love. I had signed up to go to an Angel Conference presented by Doreen Virtue, but was hesitant to go. The universe knew I sincerely wanted help—when I ask I always get assistance. I usually recognize the angel’s hand only in retrospect. But this time, I actually heard a voice in my heart say, “Atlanta, Atlanta.” Since the conference was in Atlanta, that helped me find the courage to go. At that time Doreen had recorded a beautiful short meditation. I found the best way to get out of my negative thoughts was by listening to this. All I needed was a few minutes of quiet time. I felt the peace the first time I tried it. Later, if I found my thoughts drifting into negativity, I just paused a moment and asked for help again. I opened my heart to the energy of love and gratitude. I began connecting to light and love this way about fifteen years ago, and it has made a profound difference in my life. No matter what you are facing, connecting with the source of love and light in the universe (the power running the universe) will help. You may wonder how this will improve your relationships, but when you connect to the power of love, you can see yourself and others with a love that creates miracles. There is a power that spins the world and holds the stars and planets in place. That same power is available to you at all times. You may call it Source, you may call it God; you can think of it as delivered by angels of unconditional love or the power that created the galaxies. It truly does not matter. It is light and love flowing to all of us, no matter what our belief or religion. The power is love, and it does not discriminate. You do not have to believe in it; all you have to do is hold out your hands. It keeps you alive, and you cannot turn it off. You can only temporarily cut off part of the flow—the part that would make you fully alive, vibrant, happy, and at peace. So your first shift key is to quiet your mind and open your heart. I want to emphasize—I am not recommending some formal meditation practice; often, just five minutes will move you up the emotional scale from fear to hope. The secret is not long meditation, but repeated requests throughout the day and a change in your emotions and vibration. You will receive help and see your situation with the eyes of love. If you ask, you will receive that magic stardust. When you walk in nature, listen to uplifting music; close your eyes and breathe slowly and deeply, your heart responds. When you ask for help from Source or the angels of unconditional love, or when you repeat a comforting phrase, you are slowing down enough to notice and connect to the light and power of the universe. If you ask to be filled with the energy of unconditional love, you will feel your vibration rise, and you will feel better. If you are fearful or upset, you will become calmer. If you’re angry or frustrated, you will move up to hope and see answers more clearly. It will help you with the rest of the Shift Keys. It will raise your energy and vibration and make it more likely that you will attract what you want and reach your dreams. But even more important, it will connect you to love. You will see that everything, no matter how it appears, is really working out for you—right now. You may be thinking that if that worked, it would be a miracle. It is. Shift and connect to the energy of love and gratitude every single day. Put five to ten minutes on your calendar today. I cannot urge you more strongly—try it for a week and prove me wrong! I am not talking about long meditation – I believe that most of us are here to live our lives, rather than sit in contemplation. But we need to pause long enough to stop the negative thoughts and emotions, which are cutting off our supply of loving energy. We need to ask to be filled, here and now, with the energy of life, light and the power of love. We need to take the time to be lifted with the energy of love, to raise our vibration and open our hearts. If you feel you have no time, just take a few minutes in the car in a parking lot. I have done some of my best connection in the car, or waiting for an appointment in a place where I could close my eyes and relax. If I am in a really stressful situation, I excuse myself for just five minutes (even if I have to retreat to the restroom). I breathe deeply and ask for calm and clarity or whatever I need. I ask to be filled with light and to see the situation with love. This has helped me respond and make decisions in a clear and positive way. Close your eyes, breathe slowly and deeply; ask for help and repeat a soothing phrase. I like the phrase All is well. If you have time, you can use a short meditation or soothing music without words. Ignore any negative thoughts or your to-do list—repeat your request to be flooded with love and light and continue relaxing, breathing slowly. Once you feel some peace and love, if you want, you can also ask for specific help. You can ask for clarity on a problem at work; the ability to see your partner or children with more loving eyes; or the ability to see your own goals clearly, without worrying about everyone else. Then let it go, and continue the day. Do not ask for predictions on the future, because both you and others have free choice. You can choose again at any time, and change your future. The angels do not predict the future, but angel messengers of unconditional love or the love and light of the universe can help you recognize what makes you light and happy and help you move toward the best next step for you. So ask to clearly know what choice will bring you and others the most love and happiness now. Note – This is asking for help in living your life. This is not about channeling, predicting the future, or connecting with anything other than the light of love or Source. The Source of unconditional love and light only wants you to choose and will help you follow your choices – Source, angels or the light of unconditional love never dictates your path, you have free choice. But connecting to love will lighten any path you choose, increasing your freedom and joy. Only accept loving thoughts that lighten your heart. If a thought makes you feel heavy or burdened, it is a lie. Ignore it and expect positive inspiration later. Ask to be raised above critical vibration. See all negative thoughts fade away with the stardust of love. Ask to connect to the loving truth of unconditional love and that loving truth will make you feel light and free. Note: Sometimes you will know that you must do something, like apologize, that you don’t want to do – but thinking of completing that task will lighten your heart with relief and you will feel that it is right and true. Sometimes what is best for you won’t make everyone else happy, but it will make your heart lighter. You will receive help. You may get an immediate thought or idea when you ask and open your heart to unconditional love—or, at a later time, you will hear a song or snippet of conversation, speak with someone, or find a book or magazine article that seems meant to open your eyes to new possibilities or gives you a new insight. But remember – if it is the true direction for you – it will make you feel lighter and happier – not burdened, guilty or fearful. Your inner knowing is from light and love – learn to trust it. When I first moved to Arizona, I had a job I enjoyed and was living the life I thought I wanted, but life still felt like a daily struggle. I decided to make the drive to work a sort of prayer for help and an appreciation of my blessings. I repeated soothing phrases, over and over, asking my angels and the source of unconditional love and light to lift my energy and give me the grace to enjoy the day and bring good to all I met. By the time I got to work, I was feeling a sense of purpose and a light heart, ready to face the day. I had connected with love and begun to understand that the connection to love, not any external events, was what made me happy. I wanted to find an interesting program for my daughter when she was going through some difficult experiences. I asked for help, and within a few days I got it. On a flight for a conference, I was seated right next to a woman who was part of an organization that did wonderful weekend programs for teenagers. She was able to tell me all about the program. I took my daughter to this weekend program in Seattle the next week. It was a life-changing event and helped her to come to terms with some of the unhappy things in her life, such as the recent death of her great-grandfather. I knew I had connected to love and had received a wonderful answer. You are so loved, and you will find that when you connect to love, you can feel happiness and peace, no matter what is happening around you. 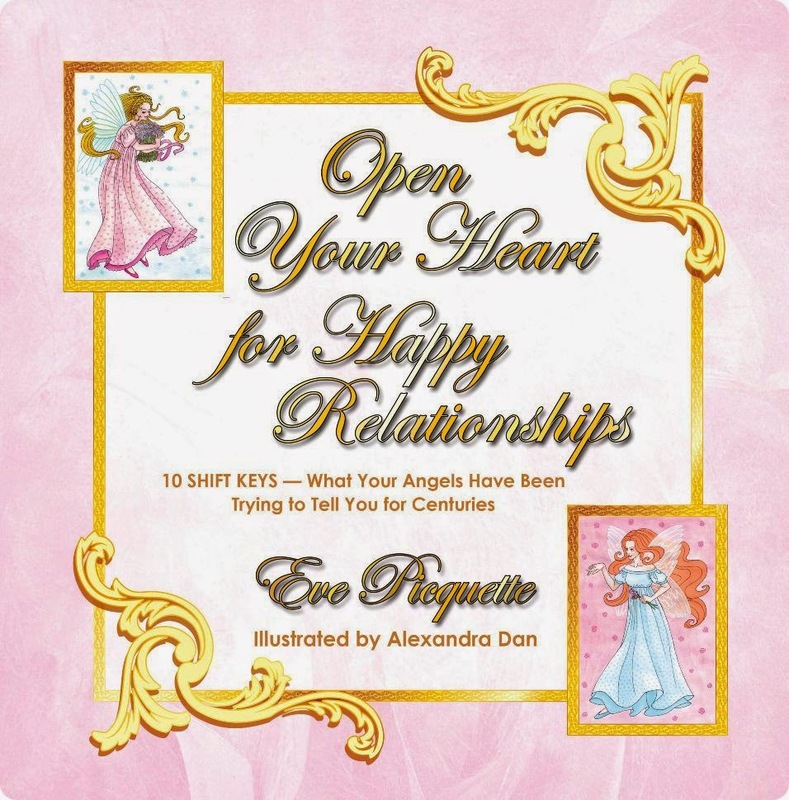 This will help you see your relationships with eyes of love and respond to your partner, family, and friends from a stronger, happier, heart-centered place. You will begin to expect blessings and miracles. You will see the difference in how you relate to everyone when first you open your heart and connect to love. Descended from the same bloodline that spawned the likes of James Russell, Amy and Robert Lowell, Margay Leah Justice was fated to be a writer herself from a young age. But even before she knew that there was a name for what she was doing, she knew one thing: She had a deep and unconditional love for the written word. A love that would challenge her in times of need, abandon her in times of distress, and rediscover her in times of hope. 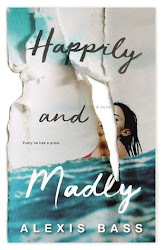 Through her writing, Margay has learned to cope with every curve ball life has thrown her, including the challenges of single parenting, the harsh realities of living in a shelter, coping with the diagnosis of Multiple Sclerosis, and the roller coaster ride of dealing with a child who suffers from bipolar disorder. But along the way she has rediscovered the amazing power of words. Margay currently lives in Massachusetts with her two daughters, two cats, and a myriad of characters who vie for her attention and demand that their own stories be told. In her spare time, she is an avid knitter, knitting her way through a stash of yarn that almost rivals her tbr pile! Her latest book is the romantic suspense/women’s fiction, The Scent of Humanity. Visit Margay Leah Justice’s blog. Connect with Margay on Facebook and Twitter. More books by Margay Leah Justice. The Scent of Humanity is available at Amazon. Thank you for having me! I read a lot (no surprise there), but I also love to knit. I am a creative person through and through, so I love making something out of nothing and seeing the end result. I also love spending time with my family. 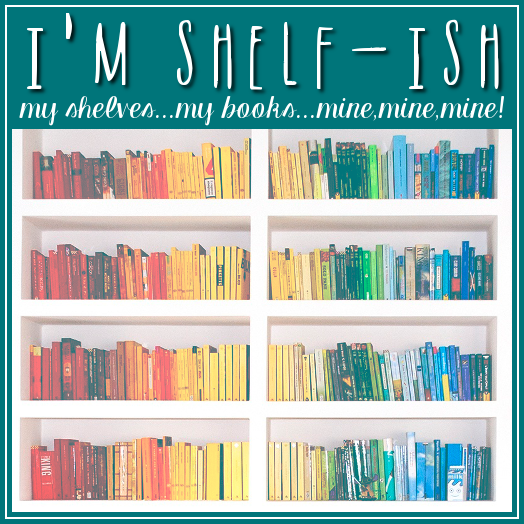 As soon as I could hold a pencil – or a crayon, as the case may be! I think I always told stories, in one form or another. I don’t remember ever not writing; it’s just something I always did. Probably the first time I saw my name on a book cover. That’s when it hit me that this was real; I am now a published author. I’ve always wanted to go to Paris, ever since I was a kid. So I’d love to go there, sit by the Seine, and just write. Work on my current WIP. Oh, good question! I think it’d be fun to set something in Australia or Japan. Back to your present book, The Scent of Humanity, how did you publish it? I went the self-publishing route for this one. No, because it was set in a small town loosely based on the one I grew up in, so a lot of it came out of my imagination. Why was writing The Scent of Humanity so important to you? Because the core of the story (the attempted kidnappings) is based on events that actually happened to me and my niece and I just felt compelled to write the story. When I first started putting it down on paper, it was like it was writing itself – like it wasn’t even me writing it. I couldn’t not write it; this story wanted to be told. My ideas spring up from everywhere. It could just be a certain turn of phrase or something I saw on the news. It’s almost like I don’t choose my ideas so much as they choose me! I just want to thank you so much for having me here today. It has been such a pleasure visiting with you.